It’s hard to go to the pharmacy or watch TV without seeing the term “hyaluronic acid.” Touted for its numerous health and beauty benefits, the substance – also known as hyaluronan – is a clear, gooey material that is generated naturally in the body. Hyaluronic acid’s overall function is to help the body retain water and to keep our tissues adequately hydrated. It is a key component of the lubricating synovial fluid in our joints, and it’s the key ingredient in viscosupplementation. Approved by the U.S. Food & Drug Administration (FDA) in 1997 for safety in treating damaged knees, viscosupplementation involves the use of hyaluronic acid injections, or viscosupplements, for a “shot” of relief to affected joints. For patients who either aren’t finding relief from over-the-counter anti-inflammatory medications or simply can’t take these medicines due to health restrictions, viscosupplementation offers an excellent alternative approach to reducing pain. In the 1980s it began to be widely utilized in patients for pain relief. Patients who have exhausted all other options to help reduce their pain levels – including weight loss, pain relievers, physical therapy, and corticosteroids – have this option before opting for surgery. Many patients find that viscosupplementation offers both pain relief and improved function. Viscosupplementation is still being tested to determine its efficacy in treating joints in the body other than the knees. It’s important to note that these injections are not a cure for pain, but rather a mode of mitigating pain. There are many varieties available on the market – and Synvisc, Hyalgan, Orthovisc, and Euflexxa are a few of the popular brands. Depending on which brand of injection your physician suggests for you, your course of treatment may differ. While some injections are given in three phases, others can be completed in just one doctor’s visit. Your physician may use X-rays to pinpoint the precise location of your pain and where to best administer your injection. Healthy joints have abundant levels of hyaluronic acid. Unfortunately, the millions of people suffering from osteoarthritis (OA) have very low levels of it. As time goes on and OA progresses, the protective cartilage on the corners of the bones begins to wear down – leading to pain, tenderness, reduced range of motion, flexibility issues, and stiffness. There is no cure for OA, but researchers and physicians in the field of orthopedics have developed many ways to mitigate the discomfort associated with conditions such as this one, including viscosupplementation. 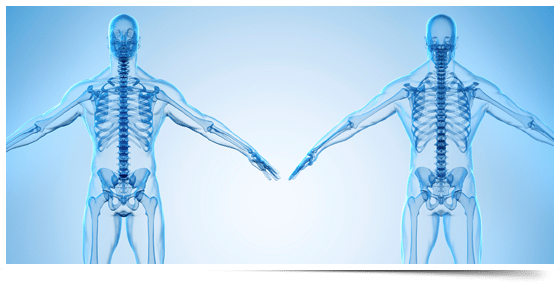 The best way to find out whether you’re a good candidate for viscosupplementation is by seeking the advice of an orthopedic specialist you can trust. They will guide you toward the best treatments based on your injuries. Dr. James Talkington of Florida Sports Medicine & Orthopaedics founded his practice in 1989, and he has been offering comprehensive and personalized care since then. Board-certified by the American Board of Orthopaedic Surgery, he was the very first sports medicine doctor in Bay County. To learn more about viscosupplementation, or for more information about the services offered at Florida Sports Medicine & Orthopaedics, call us today at (850) 763-0346 or request an appointment here. We look forward to helping you live a more pain-free lifestyle.